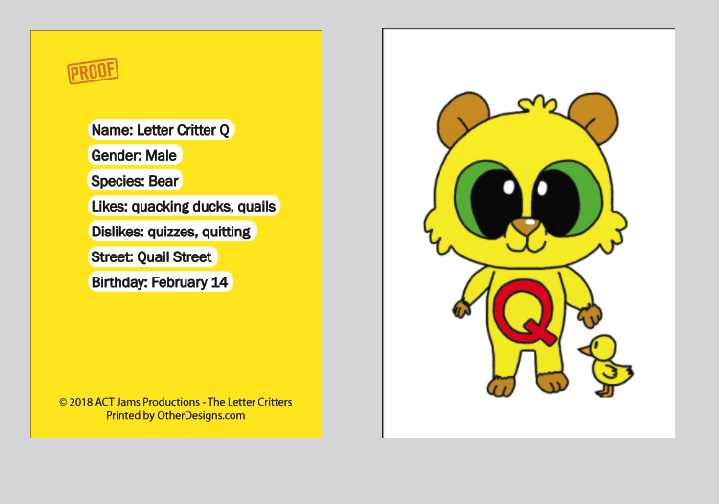 Welcome to The Letter Critters Trading Game! The cards are a fun way for you to spell words and learn more about The Letter Critters from A to Z! There are extra letters in the cards with repeated or double letters. You can swap these cards with friends to spell different words! 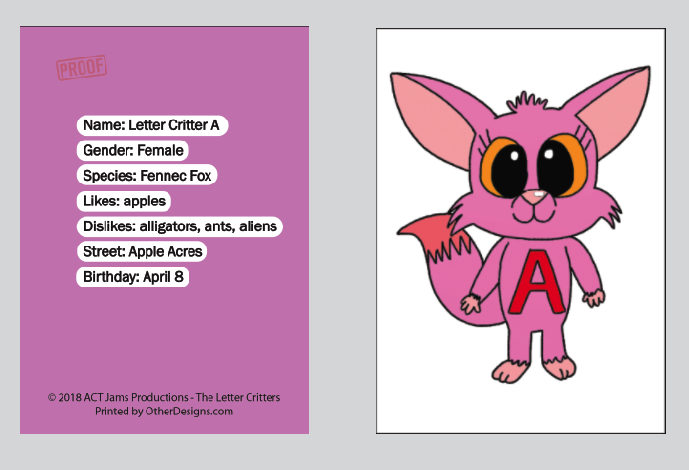 Have fun with The Letter Critters Flashcards!